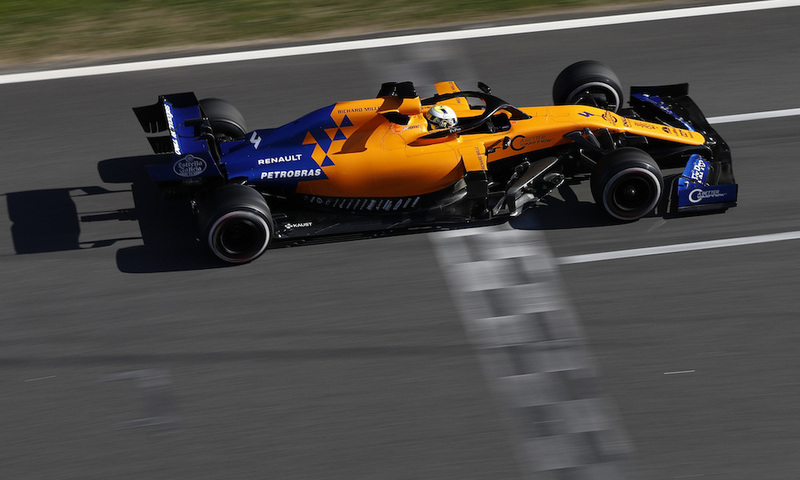 Lando Norris put McLaren at the top of the timing screens at the start of the final pre-season test in Barcelona on a day that proved difficult for both Mercedes and Ferrari. 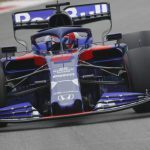 On a day when McLaren caused two red flags, Norris went quickest with half an hour remaining when he posted a 1m17.709s to pip Pierre Gasly’s Red Bull by just 0.006s. What was impressive about the time from Norris was the tire compound he was using, as his lap came on the C4 tire rather than the overall softest option. Shortly after he went to the top of the times, Norris stopped on the exit of Turn 2 with what looked like a mechanical issue. That brought out the third red flag of the day, coming after McLaren also stopped at Turn 3 with a loss of hydraulic pressure during the morning session, causing the only interruption to running before the lunch break. Norris was limited to 80 laps in total, but his running was spread across the day, while Mercedes had a bittersweet start to the second test. Lewis Hamilton completed 83 laps in the morning session, allowing the team to gather plenty of data with a heavily-updated W10, but Valtteri Bottas then was then struck by reliability problems. Bottas stopped on the inside of Turn 3 on his out lap during the afternoon session due to an oil pressure problem, prompting Mercedes to change the power unit. 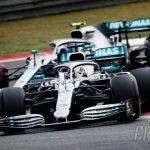 The decision was made in order to try and get back on track late in the day while simultaneously investigating the issue, and Bottas was eventually able to complete six laps in the closing minutes. Mercedes still gained plenty of information during the morning with a car featuring a revised front wing, nose, bargeboards, engine cover and T-wing compared to the one that was used during the first test. 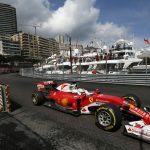 The new parts were planned, but were also required based on the strong start Ferrari had enjoyed last week. 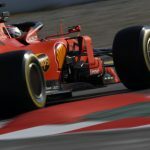 Tuesday was a less smooth affair for the Scuderia though, with Charles Leclerc completing just six laps before Ferrari carried out a number of cooling system checks and lost two hours of running. While Leclerc only managed 29 laps, Sebastian Vettel took over in the afternoon and added a further 81 to the total to finish up fourth fastest on the C3 compound, a little over 0.2s slower than Norris and Gasly. Gasly was the busiest driver, amassing 136 laps on his own, and his best lap also came on the C3 compound to underline Red Bull’s strong pace. Between Vettel and the top two was Lance Stroll, with Racing Point enjoying its most encouraging day of testing so far. The team still struggled for mileage – something Sergio Perez last week said was due to a lack of spare parts – but the best lap of Stroll’s 82 came on the softest C5 compound and was a 1.17.824s. Antonio Giovinazzi was fastest in the morning session with a 1m18.589s on the C4 tire, but the Italian didn’t improve in the afternoon and slipped to fifth by the end of the day. 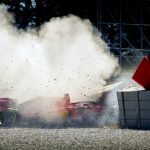 Giovinazzi – who uses driver number 99 – had just completed his 99th lap after the checkered flag when he stopped in the pit lane exit. Alexander Albon broke the 100-lap barrier in sixth place, just ahead of Leclerc and Kevin Magnussen, the latter also completing 131 laps. Both Albon and Magnussen used the C4 tires for their best times, with the top eight drivers covered by a second. 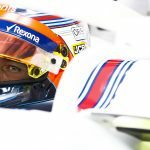 It was an encouraging day for Williams, as George Russell racked up 119 laps on the first full day in the FW42 for one driver, on what was essentially the team’s second day of pre-season testing. Russell used the C5 compound to post a 1m19.662s and end up ninth-fastest, and it was a lap time that would have put Williams right in the middle of the pack on the second day last week. The two Renaults sandwiched the Mercedes pair at the end of the day, with Daniel Ricciardo and Nico Hulkenberg focused on long runs and evaluating new aerodynamic parts.